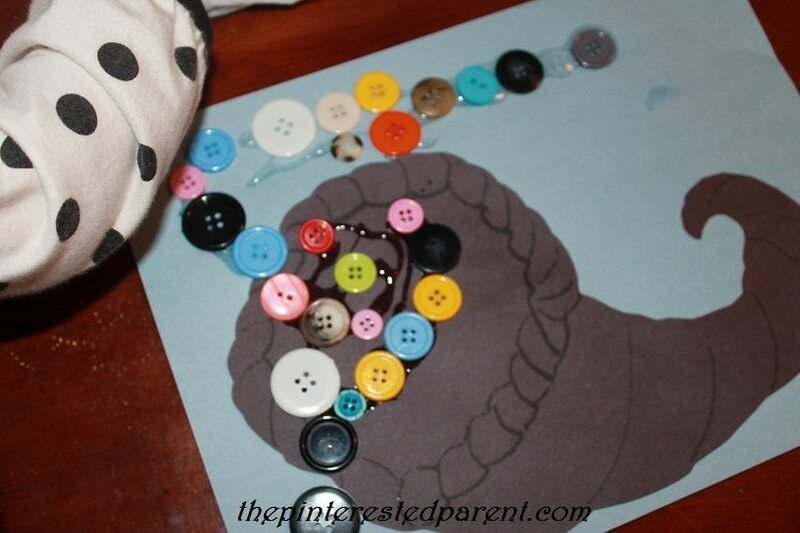 Buttons, buttons, buttons…my daughter is just crazy for buttons. 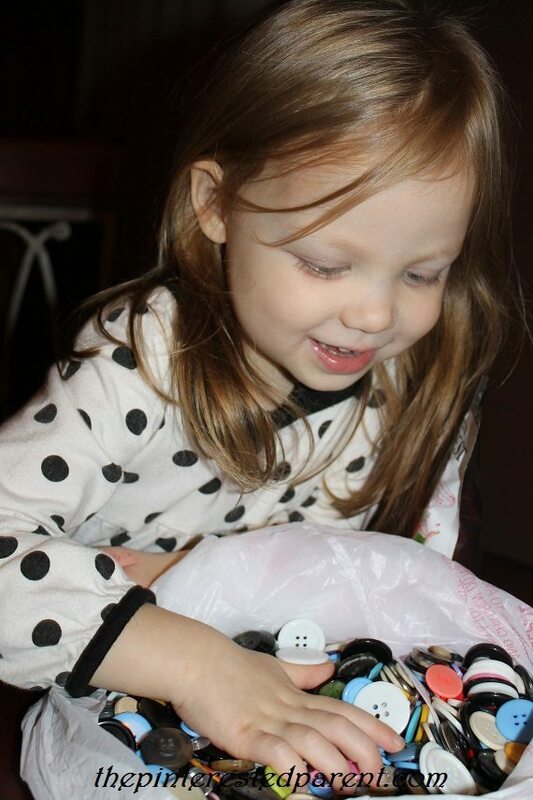 Whether it is using them in sensory play, selling them in her pretend button store or doing crafts with them she loves them. Mai saw a picture of a cornucopia the other day. She thought that it was a trumpet. I tried my best to explain to her what it was, while she looked at me with a big silly grin on her face. 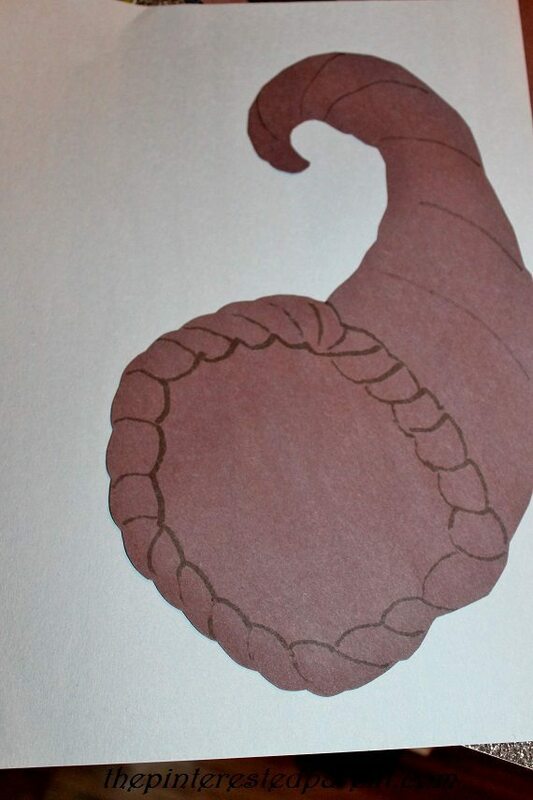 Since Thanksgiving is nearing, a cornucopia craft seemed like a great idea. I cut two cornucopia horns out of construction paper, one for Mai & one for me. I used a sharpie to draw in a few details and then glued them to construction paper. I gave my daughter her cornucopia & I took mine. I explained to her quickly that the buttons should spill out of the horn like the fruit and vegetables would. She squeezed her glue all over the construction paper & added her buttons. As she placed each button she explained to me what she was putting in her horn. She filled it with chocolate buttons, blueberry ones & even ice cubes. She began to build upwards with her buttons explaining that it was a hungry flamingo. We had fun making our cornucopias together. When we were done, she took the leftover buttons and opened her button store for business.